will not increase with 5 &#8451;, the mesh pieces are special designed for the deboner, it have long time using life. 3) Special designed the spiral extruder and mesh pieces to ensure the high quality fresh fish. 5) It can connect with the fish processing line to finish the automatic working task by itself. Weifang Green Food Machinery Co., Ltd.
Semi-automatic high quality minced fillet machine / fish deboner with best performance and price! Also the fish fillet can processed into 2 pcs or 3pcs(2 meat pieces and 1 bone pieces) . 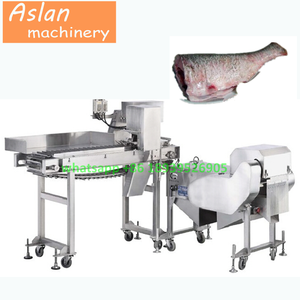 Widely used for fish marketing, large catering industry, fish processing factory, and so on . S uitable for many fishes,for example, salmon, mackerel, saury, saurel, herring and etc. In addition,we have common machine and conveyor machine. This machine is very popular in the foreign countries. Your satisfaction is what we are always struggling for! 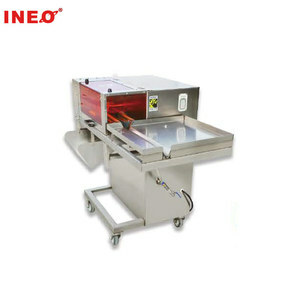 Fish fillet processing machine This Fish Slicer Machine can cut fresh meat, bacon, fish, cheese and sausage etc. The blades of the machine are connecting to motor directly, so it has high efficiency and reliable safety precautions. Laying the foundation for the target of " Online Sales, Offline Chained Stores " in order to satisfy demands from different customers. Open three yes, is about two fish, the middle one is a fish bone, flesh and blood to achieve separation. 2 The machine advanced technology, simple operation, creating a high production rate. 3 separate slice technology, the greatest degree of protection of fish muscle tissue from tear damage. 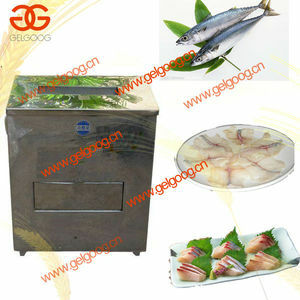 Alibaba.com offers 5,238 filleting machine products. About 54% of these are fish processing machines, 1% are other packaging machines, and 1% are other metal & metallurgy machinery. A wide variety of filleting machine options are available to you, such as free samples, paid samples. 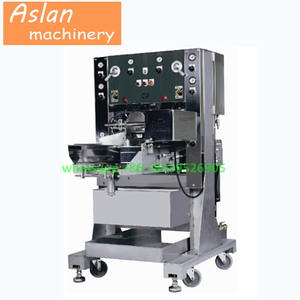 There are 5,218 filleting machine suppliers, mainly located in Asia. The top supplying countries are China (Mainland), Taiwan, and South Korea, which supply 98%, 1%, and 1% of filleting machine respectively. 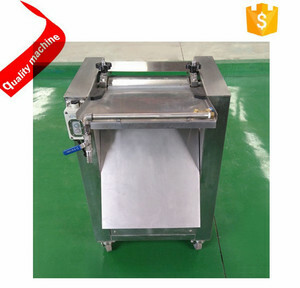 Filleting machine products are most popular in Africa, North America, and Mid East. You can ensure product safety by selecting from certified suppliers, including 1,275 with Other, 587 with ISO9001, and 127 with ISO14001 certification.